Day 19 of my 30X30 Remix Challenge. Give me a flirty skirt, pearls, heels, sunnies, and a structured bag and I am a set to act like a movie star for the day! 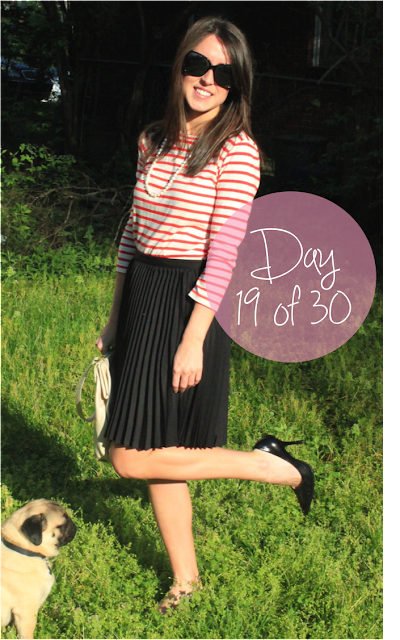 This skirt sure has been getting a workout during my 30X30 Challenge (here & here), yet its pleats are still perfectly pressed. And here I thought it was hard to be a "lady" - cross your legs, check your lipstick, fix your hair, starch your shirt, polish your shoes... purchase a magical pleated skirt... easy peasy! Oh, and P.S. I am wearing shoes, my boyfriend's lawn is just eating them in this picture! Yikes! What pieces in your wardrobe are getting an extra work out this season? P.S. The winner of my first ever giveaway was Shanna! Congrats lady, I will be contacting you soon! Everyone else - thank you for entering, and please stay tuned, as I hope to have these more often in the near future! Super cute look! 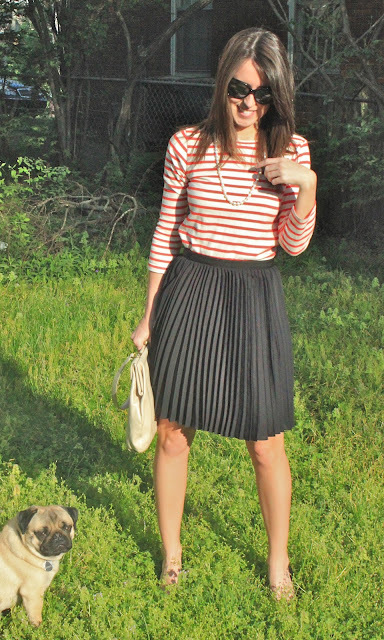 Love the pleated skirt! I've been on the lookout for a good one! The Wu skirt looks fantastic on you! I had it in my cart when the collection came out, but ended up putting it back. Kicking myself! You do look like a movie starlet in those sunglasses! 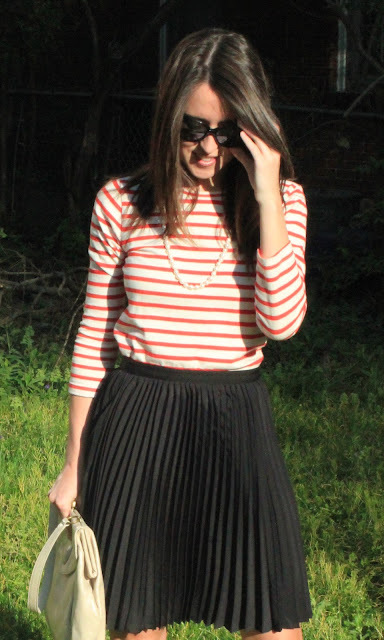 Love the ladylike pleated skirt and pearls!